An Open Question: The Worst Anime Ever? Now that anime has successfully transitioned to the Western mainstream we’re facing a new problem – picking the gems from the trash. Now that most shows are being translated, it’s difficult to know where to spend your time and money. Manga hasn’t transitioned to quite the same degree, but I suspect it will get there eventually. If you think finding good anime in the crowd is hard, wait until every manga gets translated! In Japan, manga is everywhere. One of the main reasons for this is that the barrier to entry is much lower. Anyone who can draw can produce a manga, so the main issue is not production but distribution. Traditionally, new artists cut their teeth by making small numbers of their manga and selling them at places like Comiket, a massive fair where people sell their doujinshi, or self-published manga. Publishers might offer a deal to popular or otherwise noteworthy artists and writers. Even then, the number of published manga is staggering. So here I’m going to highlight a handful of manga that you can start with if you’ve never tried this unique graphic storytelling format before. These are some of the best manga ever written, at least according to me. In Japan, this manga and its anime adaptation is known as Gunnm, and it is still a travesty that only a two-episode OVA covering a very tiny part of this story was ever made. That little taste of the world created by Yukito Kishiro is often enough to get people interested in the manga. This is great, because this is, hands down, one of the best manga titles ever written. It is the story of a female cyborg known as Alita in the Western translation, but “Gally” in the original Japanese. When the story starts, all that’s left of her is a head and chest. She’s in suspended animation and has been for an unknown time. As luck would have it, she is discovered on a trash heap by one of the world’s best cyberneticists. He’s been banished to the trash-heap underworld, far from where the elites of this dystopia live. Who is Alita? What is the fate of this dismal world? These are the questions and more that will be answered in the nine volumes this manga spans. The manga finished its run back in 1995, but it still has some of the most gorgeous artwork I’ve ever seen put to paper. The character art, mechanical detail, and peerless action scenes are frankly moving. The story is both fantastic and relatable. The twists, and there are a few, genuinely caught me out more than once. I feel old saying it, but they don’t really make ‘em like this anymore. 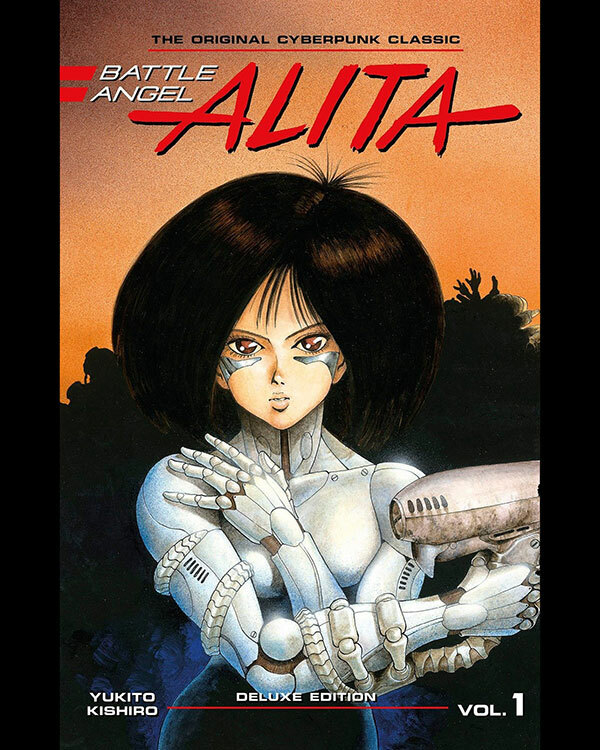 If you can get your hands on Battle Angel Alita you should definitely take the time to read it from cover to cover and then do it again. It’s that good. This is another manga that briefly got the anime treatment, but then never actually finished the story. It’s also a manga with absolutely gorgeous and detailed drawings. Most modern manga looks very simplified in comparison, to be honest. Unlike Gunnm, Berserk is STILL going. It’s been going since 1989, which means this tale has run continuously for almost 30 years. It stands at 39 volumes right now and who knows where it will end. It’s got nothing on manga like Guin Saga, which is also still running but started in ‘79, with a staggering 140+ volumes to date. Writer Kentaro Miura also cites Guin Saga as a partial influence on Berserk. 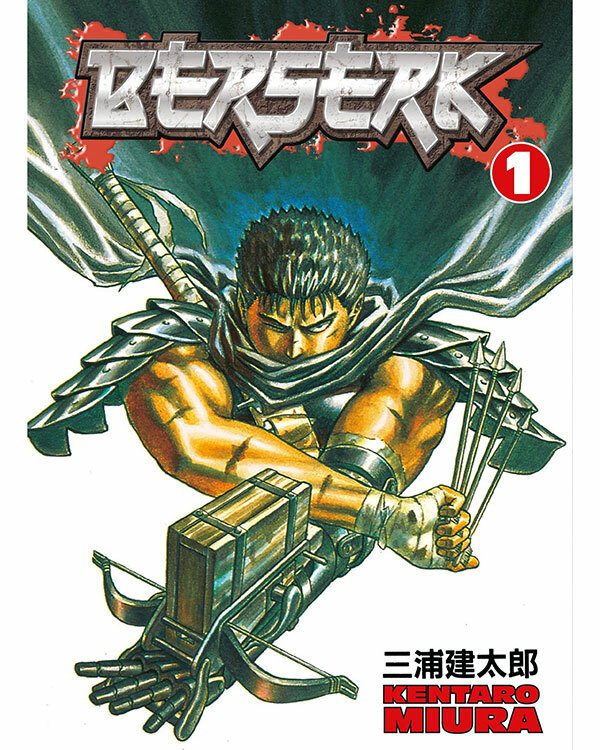 The story of Berserk is of course not one of a real monster, but it begins with a freelance mercenary by the name of Guts. Just in case you can’t tell from the name, this manga is metal as hell. It’s like every death metal album cover ever turned into an epic tale. Guts is born from his mother after she dies by hanging. His adopted mother then dies from the plague. The next parental figure is a mercenary boss by the name of Gambino, who trains Guts to be a death dealer from an early age. By the time we reach the present in the story’s timeline, Guts is one of the most feared warriors in the land. He gets inducted by force into a mercenary group known as the Band of the Hawk (see, metal!) and actually develops a fierce loyalty to their charismatic leader Griffith. Guts is the wetwork specialist that helps Griffith’s insatiable ambition, but as time goes by it turns out that Griffith wants to be much more than just a king, and he’s willing to sacrifice every friend he has in order to achieve his ultimate goal. This is a brutal dark fantasy that makes Game of Thrones look like a Disney series. If that sounds like your sort of thing then Berserk is the best example of the genre. No contest. This is probably my favorite manga on a personal level. The first manga I ever bought was Love Potion No. 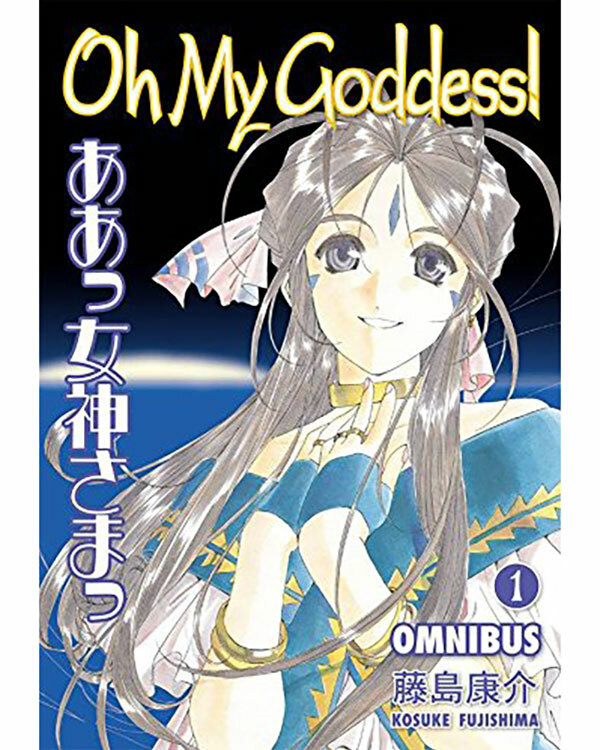 9, a compiled volume of Oh My Goddess issues. This manga by Kosuke Fujishima also had an incredible run. It ran from 1988 to 2014 with a total of 48 volumes. It also shows a very interesting issue with manga that are set in our century. In Berserk or Gunnm there is no reason to change the visual style or design of these wholly made-up worlds. As Oh My Goddess goes on, however, you can clearly see Fujishima modernize things like hair styles. It’s not important; it’s just an interesting aside. There have been more than a few anime adaptations of the manga, but none of them capture the intimate slice-of-life nature of the manga page or the entire epic scope of the world and story. Oh My Goddess is a “romantic fantasy comedy,” if you want a precise description of the genre. It’s also something more than that. This is no pervy harem story, although it does make a few semi-lewd jokes every now and then. If you want to read something that makes you feel good and happy at the end of each arc, then Oh My Goddess is almost literally soul food. It tells the story of engineering student Keiichi Morisato, a man cursed with more bad luck than he deserves. The universe needs to correct this injustice and he is contacted by a goddess who offers him any one wish to make up for a lifetime of struggle. On a seeming whim (and thinking the whole thing is a gag) Keiichi wishes that the goddess stays with him forever. The supercomputer that runs the universe approves the request and the goddess Belldandy is bound to him for the rest of his life. This arrangement causes all sorts of problems for the couple, which is the source of the drama. One standout feature of the manga is the technical drawings of cars, robots, planes, and other mechanical devices. Fujishima originally wanted to be a draftsman, but he couldn’t pass the apprenticeship exam. So he got into manga as a fallback, only to create one of the longest-running and most-acclaimed works in the medium. The Death Note anime is without a doubt one of the best anime to ever grace our screens, but three years before the story came to television it started off as a serialized manga in Weekly Shonen Jump. It tells more or less the same overall story we saw in the anime, although there are going to be some minor differences. The story is more fleshed out and can build suspense in ways the anime can’t. Best of all, there’s a one-shot volume following the end of the original run that provides an epilogue not seen anywhere else. 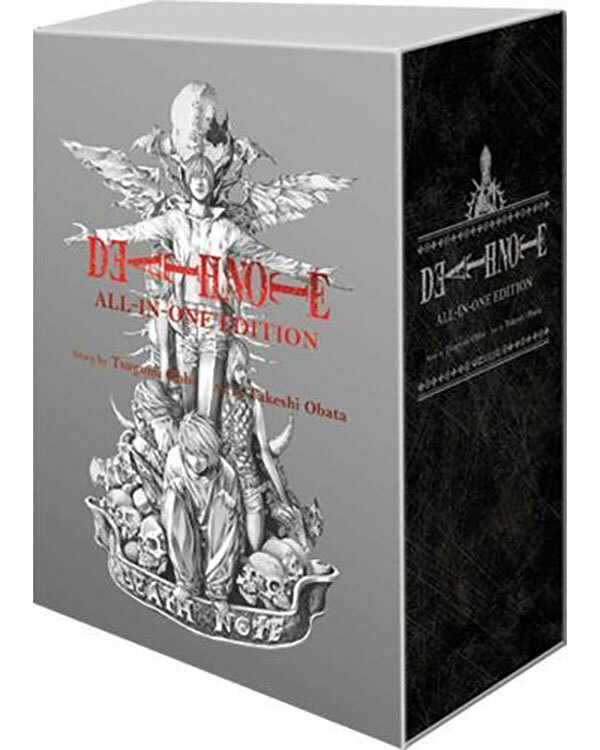 The link I’ve put in for this entry is for the “All-in-One” edition that includes all 12 volumes plus that one-shot in a single, massive 2400-page volume with a slipcase. It’s not even that expensive and you’ll have one of the most enthralling supernatural thrillers written in the modern day. Sure, the live action Death Note movie might have been trash, but almost everything about this series is pure gold. Investing time in this series is something you won’t regret. Even people who know nothing about anime know about Akira. The 1988 film was probably the biggest push for anime fandom in the West, and especially in the United States. One amazing fact about Akira is that the manga author, Katsuhiro Otomo, is also the director of the film and writer of the film. This means that the Akira film adaptation that we got is pretty much exactly what the manga author would have wanted, given the budget and medium constraints. After all, they’re the same person! The manga Akira is based on was first published in 1982 and ran until 1990, two years after the film came out. Obviously there’s a LOT more meat to this story than a single film’s runtime could allow for. 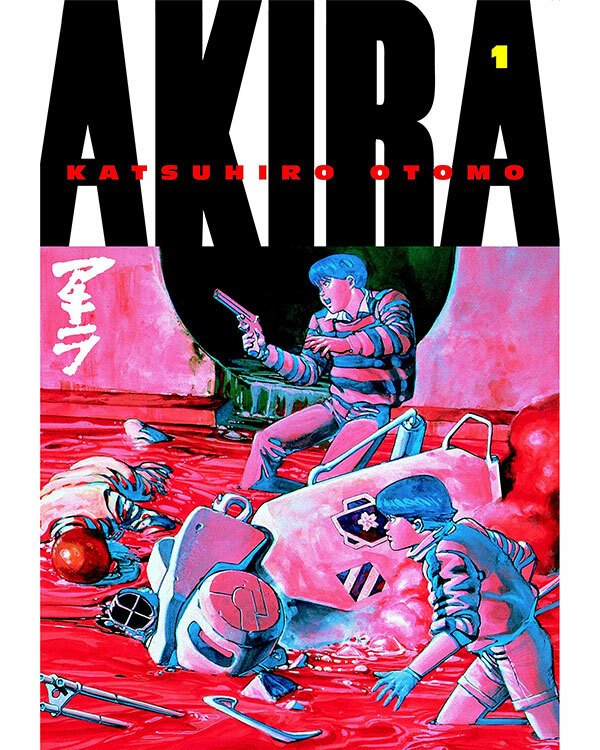 If you like the film and the world Otomo created then you absolutely must give the manga a try. A company named Epic Comics even did a fully-colorized version of the manga with mirrored imagery. For purists there’s always the original black and white version. Either way, this should be in the collection of any manga fan worth their salt. Inuyashiki is from the same creator who brought us the ultra-violent sci-fi Gantz. 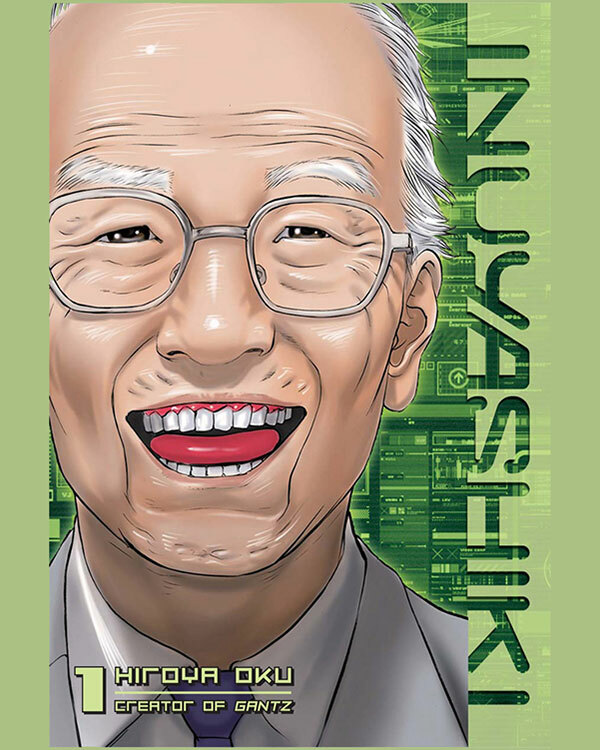 Inuyashiki is definitely one of the most original stories I’ve read in a long time, and is one of the newest manga on this list. The premise is a very smart one. An old man and a teenager are both accidentally killed in an explosion caused by aliens. The aliens are mortified by this and as recompense they give them completely new robotic bodies that look exactly the same from the outside, but which are virtually omnipotent and indestructible. Inuyashiki, the elderly gentlemen, decides to use this godlike body to fight injustice and heal the sick. The teenager, Hiro, turns out to be a total psycho, who uses his power to murder anyone he doesn’t like. The government can’t stop Hiro – only one old man in a robotic god’s body has any chance of bringing him down. Inuyashiki is beautifully drawn and no less intriguing than Gantz at its best. It might be a fairly new manga, but it’s already one of my all-time favorites. Turn the Page: What are Visual Novels?